Funko Pop! Judge Dredd | 'TAIN'T THE MEAT… IT'S THE HUMANITY! Funko POP! comes to Mega-City One. Number 48 in Funko’s Pop! 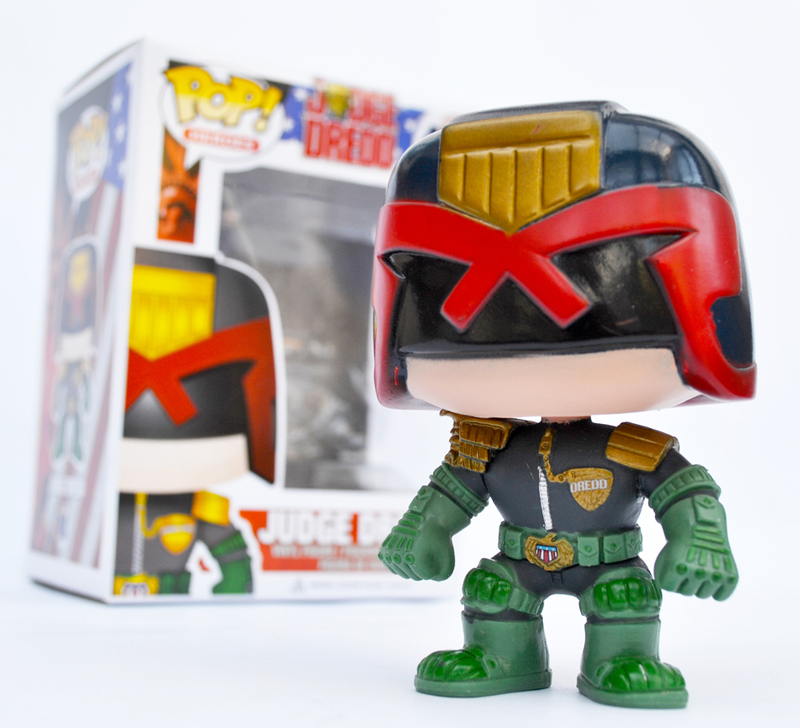 Heroes range is future cop, and all-round badass, Judge Dredd. First appearing in 1977 in Prog (issue) 2 of the British science-fiction anthology comic 2000AD, Dredd was an instant hit with readers, and his popularity quickly saw him became the title’s number one attraction. Over the years he’s spawned his own monthly title (Judge Dredd: The Megazine), numerous comic book crossovers (Judge Dredd/Batman; Judge Dredd vs Predator to name a few) and two Hollywood movies, the first pretty awful and the second pretty awesome. 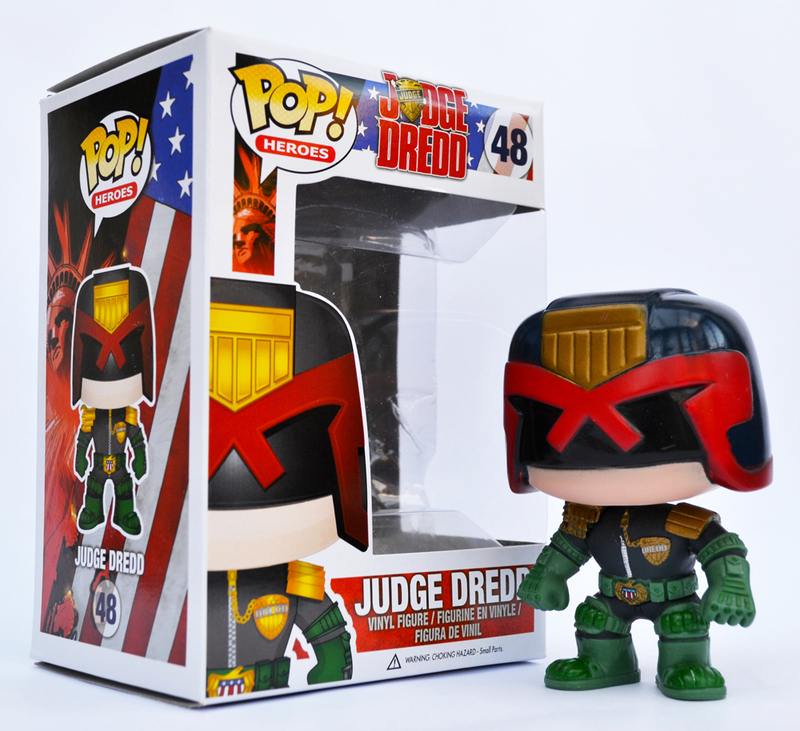 Although well known in the UK Dredd has still to break-out in the States, so as a life-long fan of of the no-nonsense lawman it does this law breakers heart good to see him receive the POP! Heroes treatment. Measuring four inches in height Dredd features the same qualities as the other vinyl figures in this range: the only articulation is to his oversized head; the modelling on his uniform is very accurate and he shares the same pleasing chunky feel. My only criticism is reserved for the paint job, which is a little rough just beneath his visor and on his chest; the DC figures in the range are painted a little better than this so maybe it’s my copy that’s at fault. 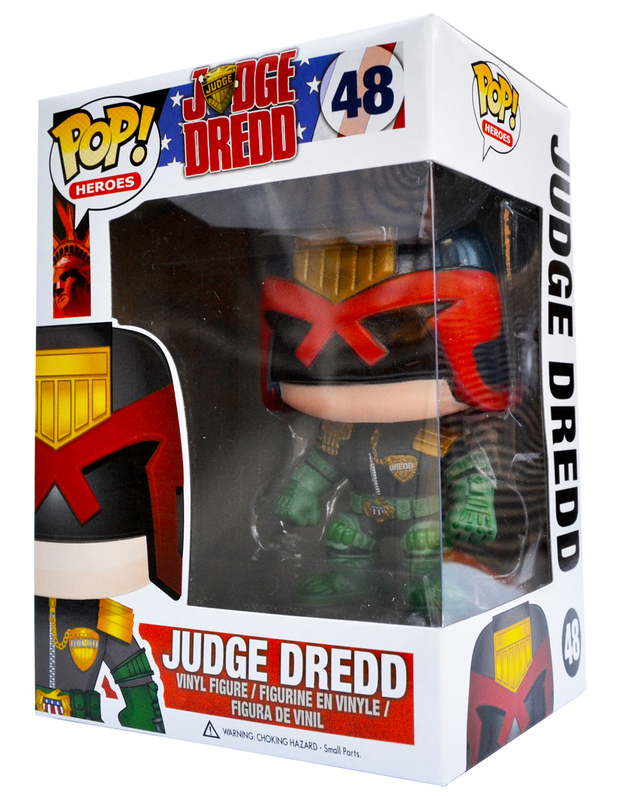 Sadly it appears that Joe Dredd is currently the only 2000AD character to receive the POP! treatment. It would be great if Judge Death and the Dark Judges made an appearance sometime in the future, or maybe Strontium Dog or any of the other characters from the weekly comic – it’s been published now for almost 40 years so there are plenty to choose from. 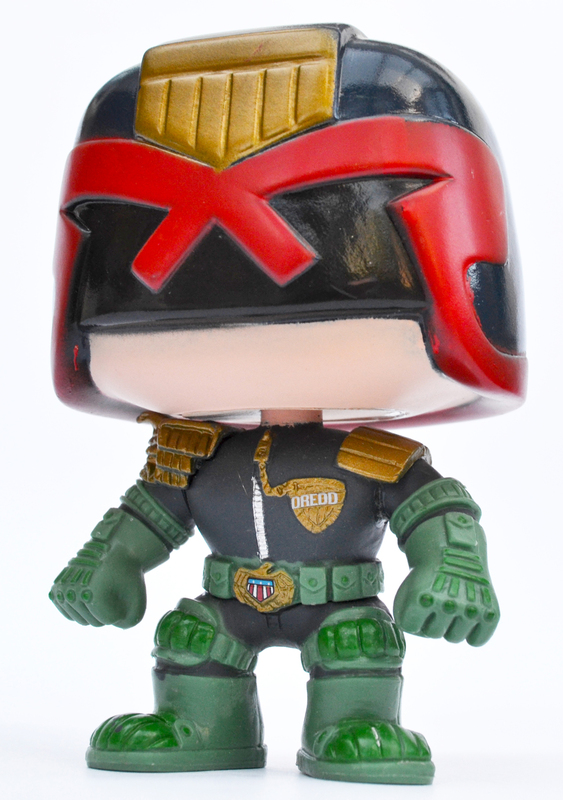 In the meantime though we’ll just have to make do with Mega-City One’s stoic, big-chined lawman. He is the law!